Vitalia Pharmaceuticals is a high-end skin care product line delivered to you through medical grade product and production. It is available through physician-based diagnosis found exclusively at Vitalia MedSpa. Vitalia Pharmaceuticals skin care line includes Replenix, and Glycolix Elite. Replenix is an antioxidant rich, anti-aging skin care product based on green tea polyphenols, which may relax the appearance of wrinkles and fine lines. Glycolix Elite is a line of glycolic acid skin care products. Replenix, by Vitalia Pharmaceuticals, is based on the medicinal powers of green tea that have been documented for thousands of years. According to research, of all the antioxidants known, the components of green tea are the most potent–which allows the Replenix line to deliver an effective defense against free radical damage while leaving skin smoother and younger-looking. The Replenix line includes a range of cleansers, exfoliating scrubs and smoothing serums. Additionally, there is a Replenix Retinol Plus Smoothing Serum containing retinol as well as hyaluronic acid (a humectant and moisturizer) and caffeine (an antioxidant) to tout smoother, firmer and more evenly toned skin. Glycolix Elite, made by Vitalia Pharmaceuticals, is formulated with “ultra-pure crystalline glycolic acid”. According to research, the home-care formulas are partially buffered to a pH of 4.0 to 4.5 which provides maximum efficacy with minimum irritation to skin. Glycolix Elite also contains antioxidant benefits, as all formulas contain vitamins A, C, E and Green Tea Extract as well as Co-Q10. The Glycolix Elite portfolio, which includes 4 primary products–2 of which (the Treatment Pads and Facial Cream) come in glycolic acid strengths of 10%, 15%, or 20%, depending on physician recommendation. The Glycolix Elite line touts “high potency moisturization” along with a reduction in the appearance of fine lines with continued use. 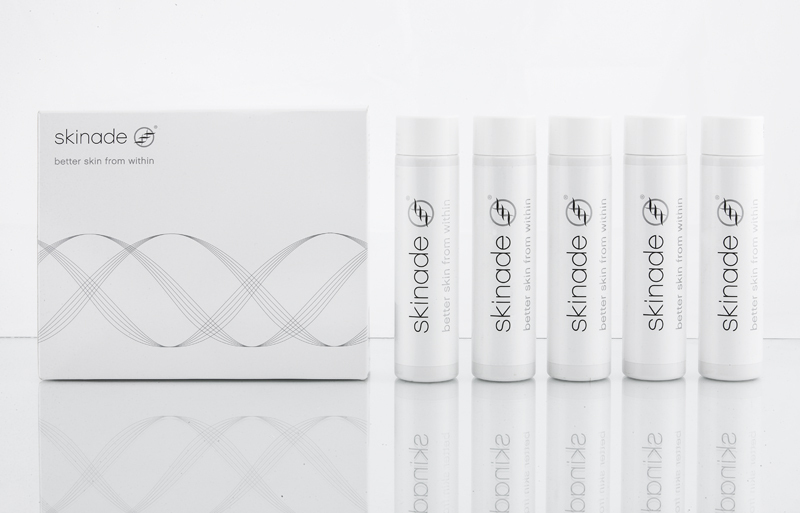 The Citrix® line of products has been formulated with a patented Polymer Matrix Technology System which provides an enhanced means of delivering stabilized L-ascorbic acid into the skin. Citrix® creams and CRS serum offers high concentrations of pure L-ascorbic acid, a low pH (3) and a stabilized Vitamin C formula. The Citrix® line also contains Liposomal Vitamins A, C, E Green Tea Extract and Co-Q10 to assist in minimizing free radical induced skin damage. Citrix® delivers L-Ascorbic Acid in 15%, concentrations in serums. Every percentage of Citrix® products is a true ”active” percentage with no buffering. 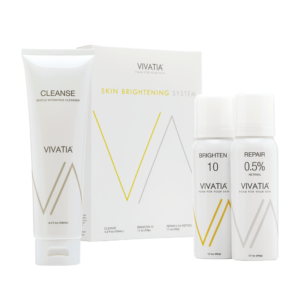 Vivatia is a powerful and easy-to-use three-piece treatment system designed to tackle skin pigmentation and photo-damage on the face. Vivatia’s Foam Technology: Delivers highly concentrated levels of ingredients in an elegant formula designed to be safe and effective. Visible Results: Dramatic improvements in pigmentation and photodamage with strong clinical and photographic evidence. Simple & Affordable: Easy to use, 3-piece, anti-aging and pigment skincare system. The FDA has recently approved a new product that is used to grow eyelashes, making them longer, thicker, and darker. In as little as 4 weeks you will start to see the difference and by 8-16 weeks there will be a significant improvement in your lashes. You don’t want to wait to get started, come in and get your Latisse TODAY! class="page-template page-template-page-theme page-template-page-theme-php page page-id-8437 samba_theme samba_left_nav samba_left_align samba_responsive tribe-no-js wpb-js-composer js-comp-ver-5.4.5 vc_responsive"